The first thing that will pop into your mind is the relevance of SEO in your website. Why do you need it? If you have already engaged or patronized search engine optimization (SEO) services for your website, you might an idea how SEO works. But SEO is not all about keywords. When you think of SEO, keywords seem like inseparable parts with SEO. This may be true because without keywords, it is quite impossible for search engine bots to process indexing and crawling to find websites that are worthy to land in search engines’ results. If you are keen on keyword optimization but you found that you are not getting good results, you will doubt what you are doing wrong all this time. 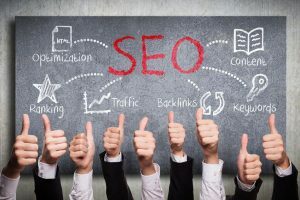 Perhaps, you need to know other factors that will affect your SEO ranking than just stuffing your page with keywords. You have to understand that search engine bots have a way to evaluate the information you fill in your site, how many visits you get each day, and the rate of bounces when users find no relevance in the content. These crawlers have also a way to analyze if metadata, broken links, and number of good referrals go back to your page and create good conversion through consistent web traffic. Website ranking is the primary reason why webmasters and business owners put up their websites in the first place. Without optimization, websites are just like office buildings with no signage, invisible to the people. How can you boost your website so that it can be “highly” visible among billions of users on the Internet? You need a good ranking in the search engines. And to achieve a good ranking for your website using SEO, your website should maintain its usability. Such usability covers strategic steps in web design for users to experience the best in all aspects of their search query. High-quality content. Do not allow empty pages. This aspect goes for articles that are poorly written. No matter how good you place keywords in your site but if the contents are not for users’ satisfaction, and then you will lose visitors. Overall appearance of page. No one wants a cluttered space. Place your texts and graphics together that they do not distort your page’s readability. Relevant texts with proper tagging send signals to search engines that your content is relevant. Headings and images. Similar concept with overall appearance, but strategic and proper use of headings and subheadings will dissect your article that will not make it appear lengthy. Images are added attraction but with correct tags and quality captions. If you have heard of infographics you better try that style. Loading speed. What is the feeling of disappointment when the page you are trying to visit takes several seconds to load? Worse is when you get and error message. This could be distrusting on the part of the users. Navigation of pages. Build a website that is structurally sound, meaning, useful navigations should be present when it comes to your service or business. With proper navigation, users can easily find what they need, and your website will gain a good impression. Usefulness in other aspects of digital marketing. Today, the Internet has invaded all forms of digitalization. The trend extends to mobile devices. Improve your site and enhance your SEO on this aspect. Utilization of social media. Never underestimate the power of social media. Always keep those ®sharing buttons (e.g. “Like us on Facebook, Twitter, or Instagram) handy in case your customers get satisfied and want others to explore your site. Usable links (internal and external). When you include links, whether internal or external, make sure they are usable and will route the users to the correct pages. Otherwise, these will serve as false or empty promises. We finally get to the bottom of why SEO is an important aspect for your website or business. Call us now and discuss furthermore about rankings and increased visibility. With Authority Solutions®, we assure you long-term good ranking.